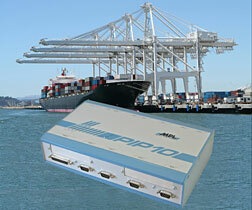 The well known and widely used PIP10 embedded PC from MPL AG is now official accredited for Marine applications. MPL passed with their unique Industrial PC the therefore required maritime tests - IEC 60945: Fourth edition, 2002 and IACS E10: Rev. 5, Dec 2006. The Maritime test approval includes tests like dry heat, damp heat, low temperature, vibration, endurance vibration, conducted & radiated emission and radio frequency interference, burst & surge voltage, power supply variation, power supply failure, electrostatic discharges. With passing this challenging type approval the PIP concept once again showed their real robust, rugged and reliable design.